Sold by CamparkDirect and Fulfilled by Amazon. Gift-wrap available. 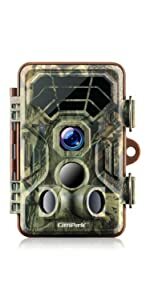 Amazon's Choice for "trail camera"
Sold by CamparkDirect and ships from Amazon Fulfillment. Ships from and sold by LIQUID DEALS. Sold by A Miracle and ships from Amazon Fulfillment. 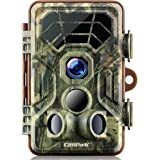 Why choose Campark T45 trail camera? 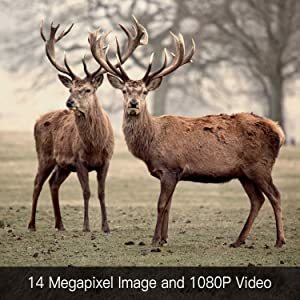 Compared with 12 megapixel device, Campark T45 featuring 14MP(14 megapixel) 1080P (1920*1080) resolution, allows you to enjoy the wonderful animal world through super crystal pictures. 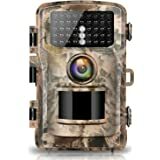 5.0 out of 5 starsOutstanding Wildlife Camera at a great price! 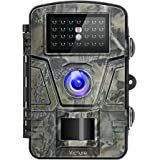 I have been using trail/game cameras for over six years and this one has excellent features and performance for the price as of this writing 62$ . Most important to me is sensitivity and high quality imagery and video and the quality of 14MP imagery and 1080 and 720 video is impressive. The most important workload feature to me is the live image preview and media review - this used to be unheard of at this price point. I have paid 150 and 180 for cameras that didn't have this feature. 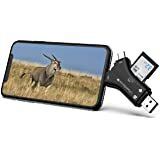 It is so much better to see exactly what area you are going to capture and what you have captured so far without removing the camera or the disk to check the media in the computer. 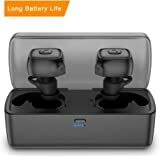 I have taken hundreds of images and several hundred 1 minute videos while testing this on a single set of batteries so am impressed with battery life. 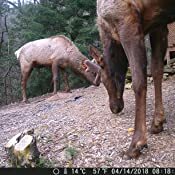 Trigger sensitivity has been quite good with the side sensors and the highest setting you can catch the animal in action just as they enter the frame - see the picture attached of just the nose of an elk triggering and the head of a squirrel then they jump into action. 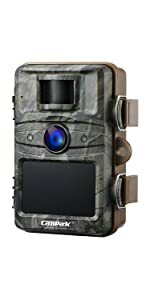 I use these cameras to get close ups of birds and small mammals as well as large game and can get clear video and triggers on birds as small as chickadees. 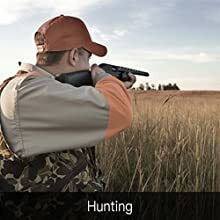 Minimum focus distance is about 24 inches so if you put the subject closer than that it will naturally be a little out of focus so account for that in your shoot layout all cameras have that issue you can't get too close and be in focus. 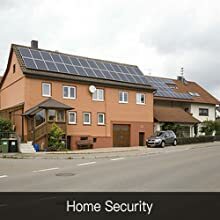 Another nice feature is a mounting bracket for a permanent installation which would be useful for home security monitoring applications. 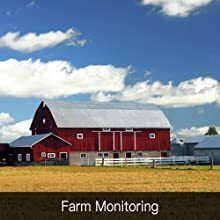 I triggered on myself many times walking around so I'm sure it would be good for monitoring trespassing and suspicious activity at least 50 to 75 feet away. The IR night lights are very bright. 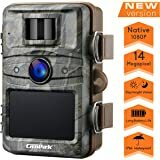 I made a comprehensive video review on YouTube if you want to see that just search CamPark 14MP Trail Camera Test and look for the one with a big elk on the thumbnail. 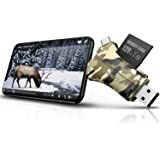 5.0 out of 5 starsQuality product, great price and excellent photos and videos! 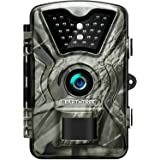 I chose this camera based on the fact that at the time I was researching, this one had 100% 5 star ratings. Originally I had selected another brand that was almost twice the price, but the strong positive reviews changed my mind. After using it for a little while now, I have to agree with what others have said. 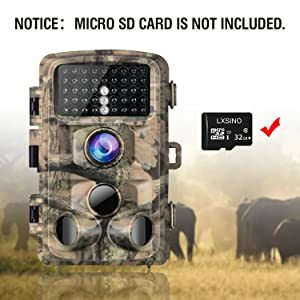 It is a well made, compact trail camera with a simple user interface that takes excellent daytime and nighttime photos and videos. 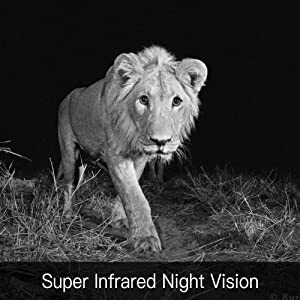 The nighttime photos and videos are black & white and use a flash that you cannot see (but your images are very well lit). 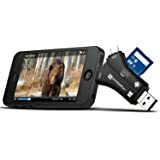 The interface allows you to choose the hours of operation, adjust shot lag, select time lapse photography, adjust sensitivity and resolution, and time/date stamp your images with outdoor temperature included. 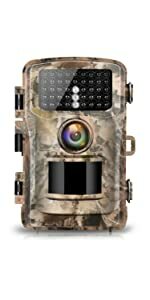 You can choose 1-3 photos and/or up to a 10 minute video for each motion it detects. Battery life is impressive. The box includes a tree belt and a permanent mounting base with swivel. I am very happy with my purchase! I've been attracting hummingbirds to my garden for many years. But trying to get photos of the small fast moving birds has been a real challenge. 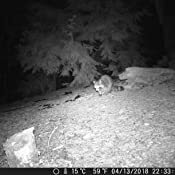 I saw these trial cameras advertised and thought I'd see if I could get good photos of my favorite garden visitors. I got lucky on my very first day but as you can see from my photos I need to do some adjusting and refining. I not only got my very first hummingbird photo but I also caught a delivery guy leaving a package on my porch. I was so worried that setting this camera up would be very complicated. Instead I found it to be a snap. I set it up the first time without even looking athe durections. 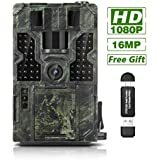 If I can set it up this trail camera anyone can! 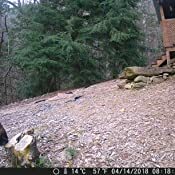 Nice trail/security camera. shots 720 or 1080p or upto 14mp pics. 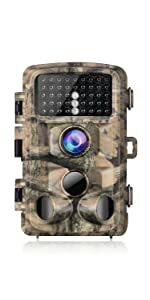 You can set the camera to record video, photos or both, you can set the record time from 5 seconds to more than 10 minutes, I choose 30 seconds seems the right amount for what I use it for. You can either use 4 or 8AA batteries, I am using 4 sanyo rechargable batteries. 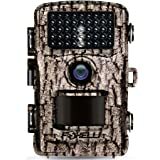 The side sensors are nice as it sets the camera ready to take once it hits the center motion detector, faster captures. 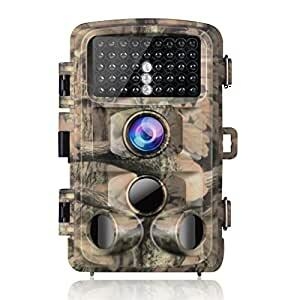 It really shoots great at nice, if complete darkness and no light its B/W, I have a security light so I get color video and night time with mine. 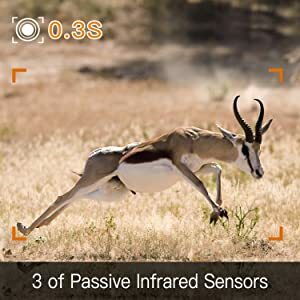 You can set the lag time between setting off the motion sensor to record again. I found it no problem using the supplied wall mount and screwed it right onto my house. The camouflage color would be great out in the wilderness, but since I use it on my house I painted mine to match my house. 5.0 out of 5 starsGood value for the money. Bought this for a project with my son. We have been very pleased with the unit. 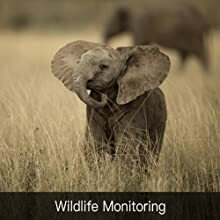 This is an overall solid performing unit for wildlife.